We are totally addicted to storage baskets in our homes. We love them for many reasons but especially for a family living because they make tidying up so easy. Anybody who has kids will know that children and mess go together. But with baskets dotted around the home, you can just pile everything in and tidy up in under a minute. Better yet, the kids can easily do it themselves. When it comes to storage baskets, our philosophy is that you can never have too many. 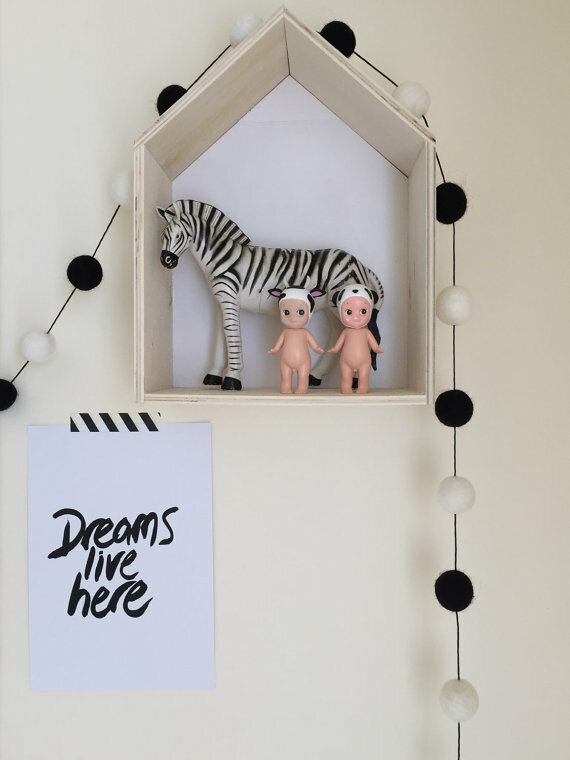 We’ve got them in our living room, bathroom, master bedroom, entrance and of course the kid’s rooms. With so many stylish options out there, the only problem is choosing. So to help you, we’ve rounded up 7 of the most stylish baskets for every taste. 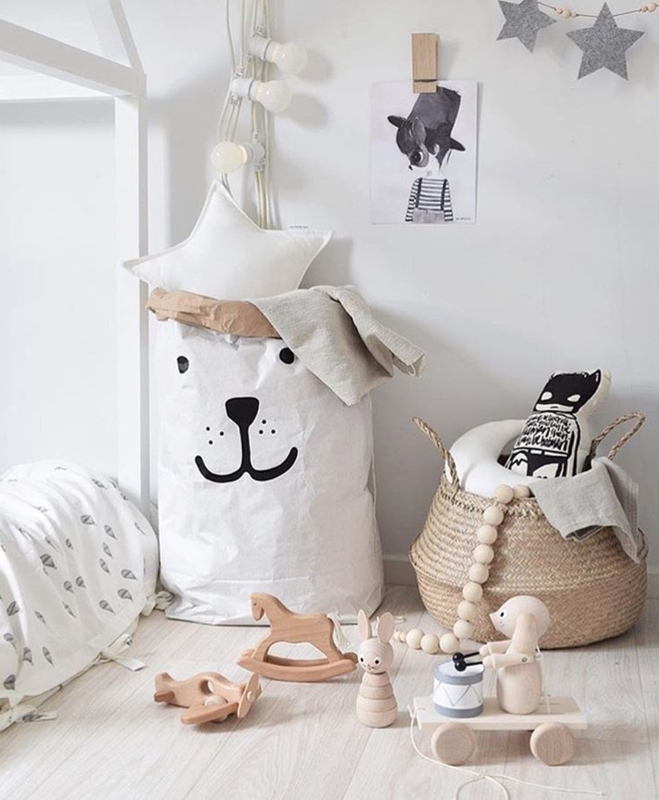 All these baskets will look great in a kid’s room or any part of the home where mess occurs – which is everywhere, in our home. These natural belly baskets are a favourite in our home. 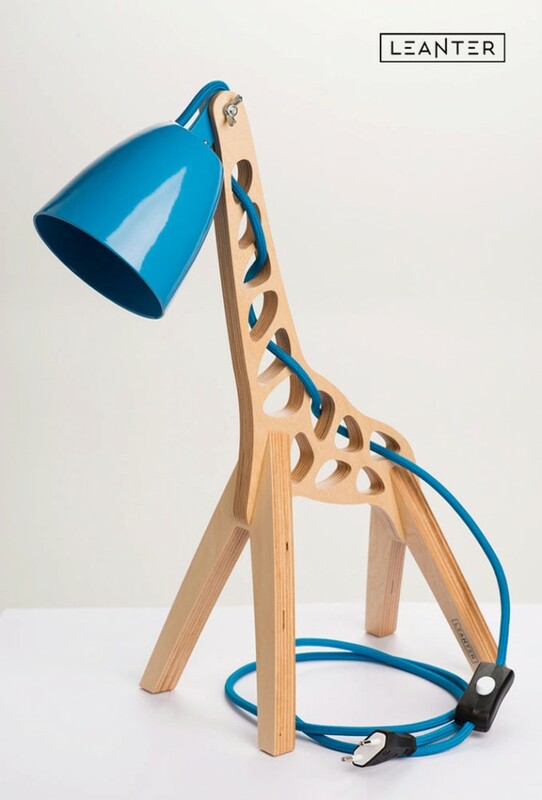 They go with any style of decor, work in any room from the bathroom to children’s rooms and you can never have too many. You can find similar ones here. Similar to the first, these are also natural belly baskets that have been paint-dipped. 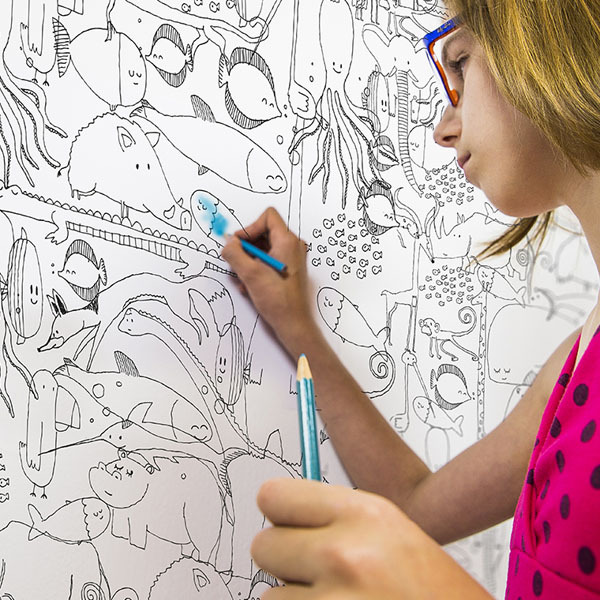 You can get different colours — they especially look pretty in pastel shades. 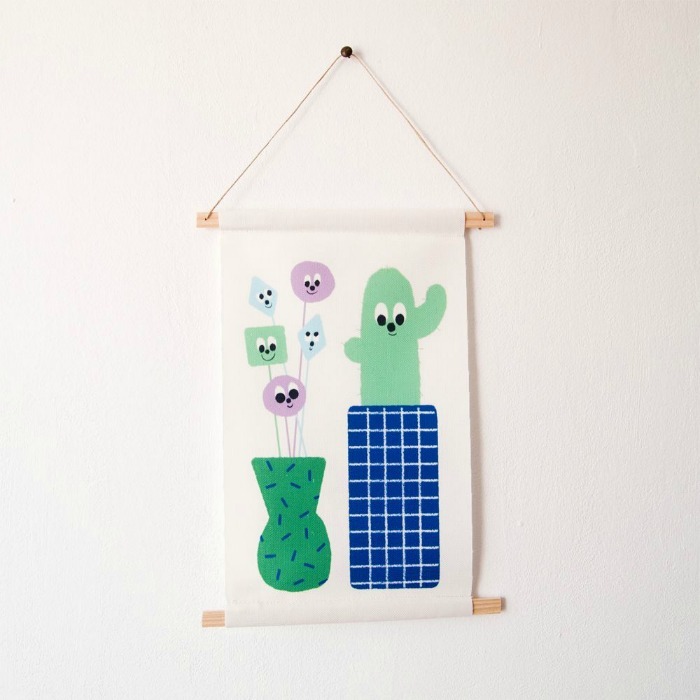 Or you can customise your own to complement your decor. You can find some paint dipped ones here. 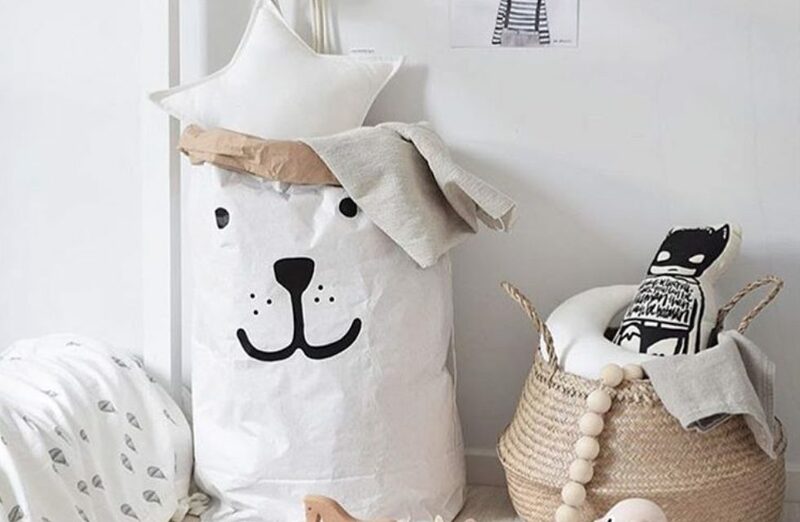 For something a bit more playful, you can’t get cuter than these paper storage sacs with little faces painted on. 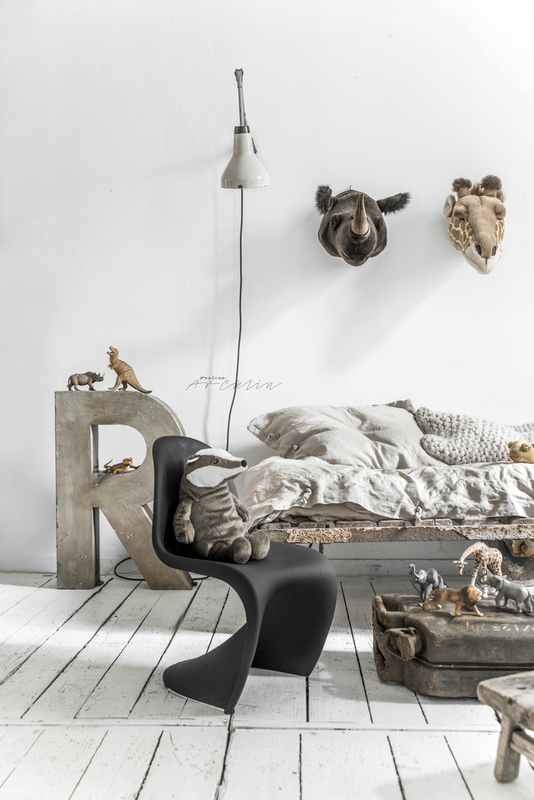 Whats more, they’re big so a lot of stuff can be piled in – just perfect for a kids room! 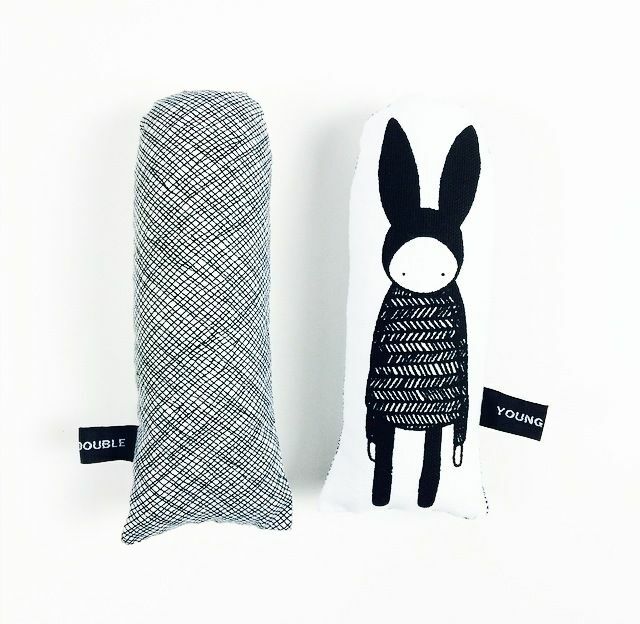 Find these storage sacs here. When floor space is tight, hanging storage is a great option. 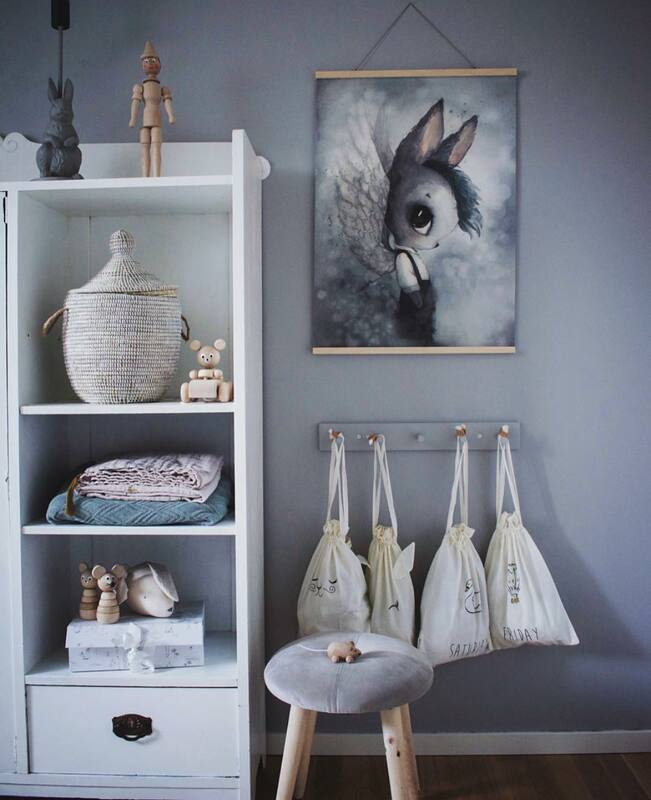 You can go for hanging baskets or alternatively we’re loving these cute storage sacs. As they’re not very big, you can get several which will make it easy to sort stuff and keep different things in each sac – one for lego, one for softies, one for colour pens and pencils etc. 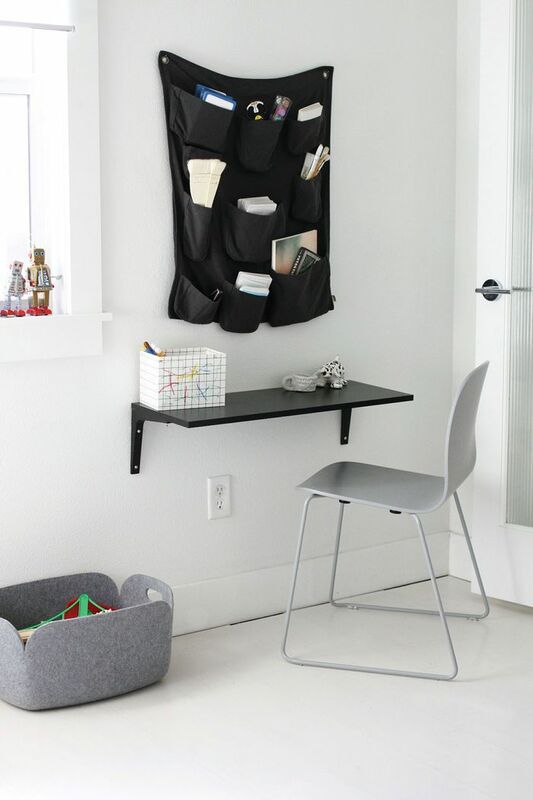 You can find these storage sacs here. We can’t help but smile every time we set our eyes on this adorable elephant basket. There’s also a kangaroo version which is just as fun. Who knew storage baskets could be this cute! You can find there baskets here. If minimal style floats your boat, this simple and sleek felt basket could be the one for you. These come in a range of colours, shapes and sizes so you can pick the one that works best for you. 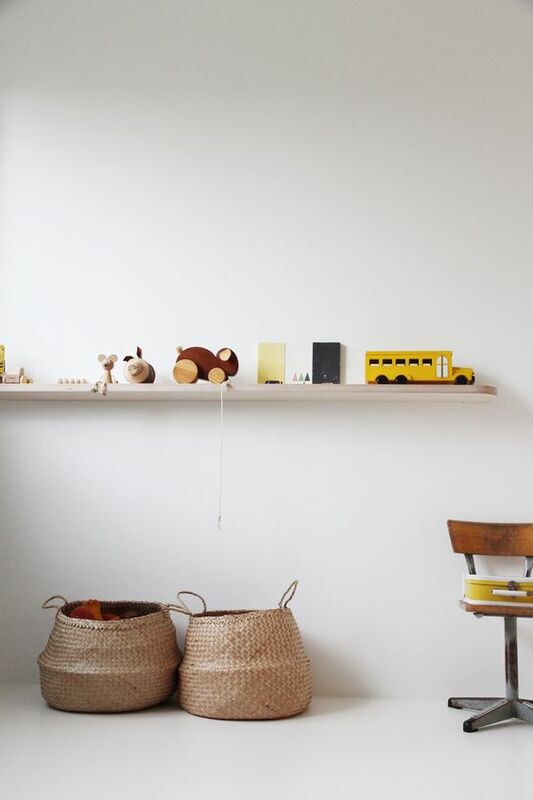 We especially love these for storing all those toys that end up in the living room. You can find these baskets here. 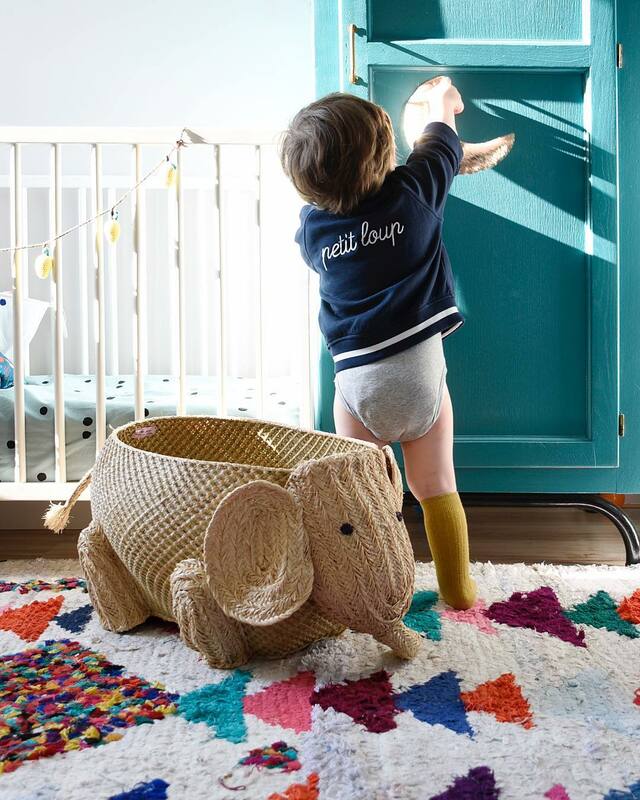 If you prefer your kid’s clutter to be completely hidden away, these large storage baskets with a lid are a great choice. Once again, they are stylish enough for any room and once the lid is on, they just look like a beautiful piece of decor. You can find these baskets here. Which of these storage options are tempting you?